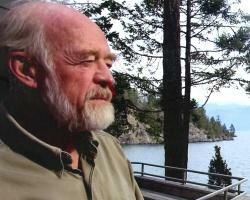 Though renowned as the author of The Message, pastor-writer Eugene Peterson was also a church pastor for 29 years. To this day, his love of the church is evident. Yet, his latest book, The Pastor: A Memoir honestly reveals how painful and lonely a life in ministry sometimes can be. In one of the most heart-wrenching chapters of The Pastor, "Invisible Six Days a Week, Incomprehensible the Seventh," (a portion of which is excerpted here), Eugene wrestles with what it means to succeed as a parent and a pastor, a struggle that many youth workers know all too well. To find out more about this struggle and his advice to youth workers regarding their own soul care, we talked to Eugene. Youth Worker Journal: In the excerpt from The Pastor: A Memoir that follows, you confess, "If succeeding as a pastor meant failing as a parent, I was already a failed pastor. I would resign that very night." How is failing as a parent also failing as a pastor? Eugene Peterson: I was ignoring the people closest to me because I had a job to do. I had a church to develop and make successful. My work shut down a huge area of personal relationships. That's one of the besetting sins of church workers. Youth workers are prone to this because they aren't as mature; they're newer at this. Parents expect them to do for their kids what they're not doing for them themselves. YWJ: What advice do you have for youth workers struggling to juggle the demands of being a pastor with the demands of family? Eugene: That's a hard one. A youth worker is generally a junior member of the church staff. It's very important to identify what you need and tell the people you work with what you need to do as a family member, as a parent. Don't be afraid to say, "I can't do that" to your church. Don't wait to be gone for the 27th night in a row to discover your boundaries. YWJ: After realizing your failure as a parent, you confess to your elders your desire to be an "unbusy pastor." What do you think keeps people from being unbusy pastors? Eugene: Fear of failure. Sheer laziness. Being busy is a way of not doing things that are important to do. It's easier to be busy than to take the time to be with someone who's not very attractive or to listen to seemingly boring small-talk. YWJ: In your quest to become an unbusy pastor, you set about cultivating quietness and attentiveness before God, something that often takes the form of a Sabbath. How might a youth worker who's not currently taking a Sabbath go about establishing one? Eugene: A Sabbath is at the very center of the biblical life. It's astonishing to me that the people who break the Sabbath the most frequently are pastors. It's because they're too busy and important. You have to have the support of your senior pastor or others on the church staff to take a Sabbath. You can't do it by yourself. I had the help of my session and deacons. I'd spend two retreats a year with them. One of the things that we did was talk about me keeping a Sabbath. I told them how I couldn't be their pastor—or a Christian in this kind of world—without keeping a Sabbath. I didn't tell them they should take a Sabbath, but I told them I needed to and that I needed their help to do so. They helped me keep my Sabbath. YWJ: What else would you like to tell youth workers? Eugene: You've got a great job. You've got a great opportunity. Not many people get a chance to do this. Relish the fact that this is a gift. Enjoy yourself. Don't take yourself too seriously. Have fun. Enjoy these kids. It's a time of energy, exuberance and excitement. Enter into that with your kids, but be very careful of manipulation. These are young people. They are susceptible to any strong voice in their life. Don't use your advantage or position as youth pastor to manipulate or to get people to follow in your footsteps. Remember that being a pastor is a very modest way of life. You're visible, but you're not all that important.